Dog flea allergies (flea allergy dermatitis) are common in dogs and are caused by a hypersensitivity reaction to flea bites. What are the signs and symptoms of flea allergies? How can we treat this skin problem? Read on and find out! Flea allergy dermatitis, aka flea allergies, or flea bite hypersensitivity, is an extremely common allergy in dogs. It is caused by an allergic reaction to one or more substances in the saliva of fleas. Some dogs may have an immediate reaction to flea bites, i.e. they feel itchiness immediately after the fleabite. Such dogs are said to have “Type-I hypersensitivity”. 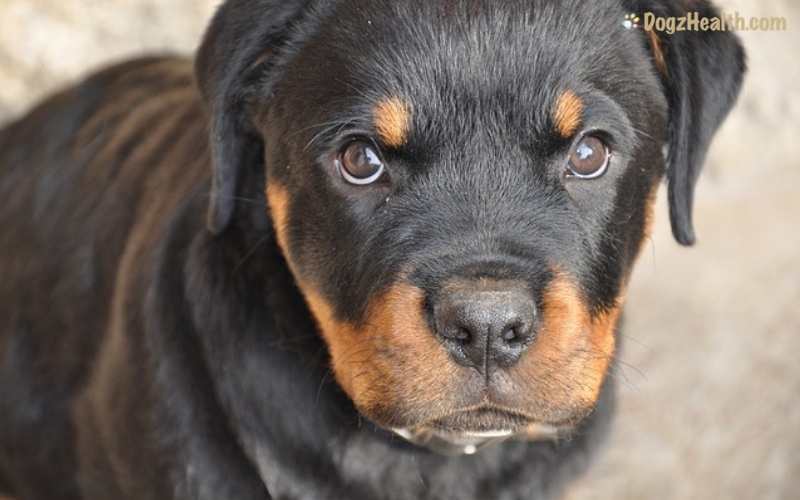 Other dogs do not start feeling itchy until a few days after the bites and sometimes the fleas may already have been chewed up and killed by the dog. Such dogs are said to have a “Delayed-type hypersensitivity”. In many cases, dogs suffering from flea allergies also tend to have canine atopy. Fleas usually like hiding in places where the dog have difficulties getting at, such as at the base of the tail and along the lower back. They also like camping out on the inside of the stomach, thighs, and the groin area. Symptoms of dog flea allergies are usually worse in the summer when fleas are more abundant. 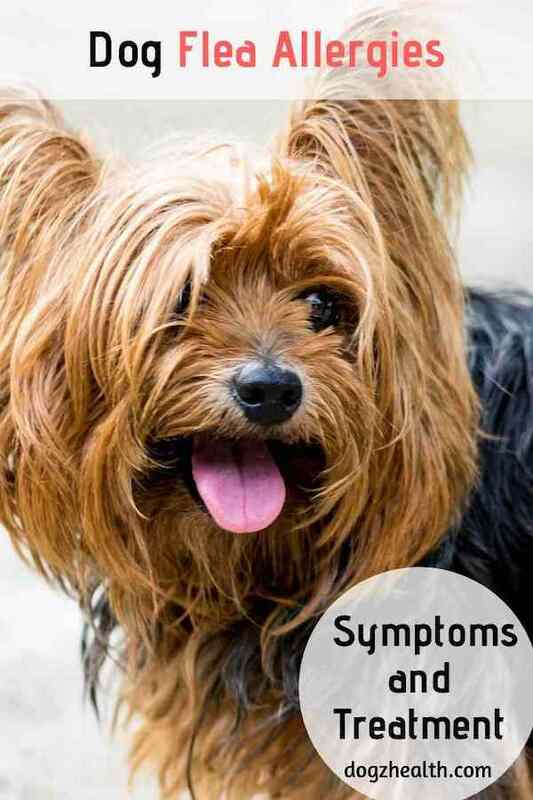 It is of course possible for a dog suffering from fleabite allergies to show symptoms all year round if he lives inside the house which is infested with fleas. A dog with flea allergy dermatitis usually will chew, bite, scratch, and lick such areas due to the intense itching caused by the fleabites. He may also scoot on the floor. Very often, the incessant biting and scratching will result in skin lesions, which are usually small red bumps (papules) that may be crusted. Hair will also fall out and the skin will become dry and scaly. If left untreated, the skin will eventually become thick and darkly pigmented. Dogs with flea allergy dermatitis may or may not have fleas on their bodies. You can try to determine if your dog has fleas by standing your dog over a sheet of white paper. Brush him carefully and, if you may see black and white grain-like materials dropping onto the paper, your dog probably has fleas! The black and while materials could be flea eggs and excrement. Flea excrement is black and grain-like. To test whether the black grain-like materials are flea excrement or just dirt, put the materials on a white piece of paper and add a drop of water to them. Nothing changes if the materials are just ordinary dirt, but flea excrement will turn red in a minute or so because it contains dried blood and the drop of water will turn it red. If you cannot find fleas or flea excrement on the dog’s body but the dog shows signs of flea allergies, an intra-dermal skin test is the next tool for diagnosis. The best way to treat flea allergy dermatitis in dogs is of course elimination of fleas on the dog. It is equally, if not more, important to control and eliminate fleas in the living environment. The reason is, about 95% of the flea life cycle exists in the environment. To relieve itchiness and irritation caused by fleabites, vets commonly prescribe conventional medications such as antihistamines (e.g. Benadryl) and corticosteroids. But since corticosteroids cause serious side effects, use these medications with care, for short periods of time, and preferably as a last resort. There are other remedies for dog allergies such as the use of herbs and supplements. These are milder and safer and do not cause side effects. Want to try using natural remedies to help your dog with allergies? Be sure to read this page for more information. 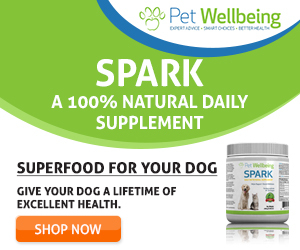 In addition, it is a good idea to switch your dog’s food to an all-natural, high-quality diet with supplements, especially Omega-3 fatty acids. In fact, you may say that Omega-3 fatty acids are the most important of all dietary supplements for dogs with flea allergies. Essential fatty acids can help strengthen a dog’s immune system. They also play an important role in determining how the dog’s immune system responds to flea saliva and other allergens that have gained entry into the body. As in other types of allergies, dog flea allergies usually affect those whose immune systems are compromised. By giving your dog essential fatty acids such as salmon oil , your dog will be less susceptible to developing allergies to flea and other allergens. Dog flea allergies affect a lot of dogs, causing them a lot of discomfort and agony. Eliminating fleas both on the dog’s body and in the environment is vital in preventing and managing flea allergies in dogs. While conventional medications such as antihistamines and corticosteroids can bring about relief quickly, you should use them with care. Try to adopt a holistic approach by incorporating other more natural remedies in helping your dog with flea allergies.